Starting Tuesday and Thursdays February 2019- This beginner course in WuDang Mountain 18 Form Tai Chi is led by Blue Heron Center founder Gayl Hubatch. 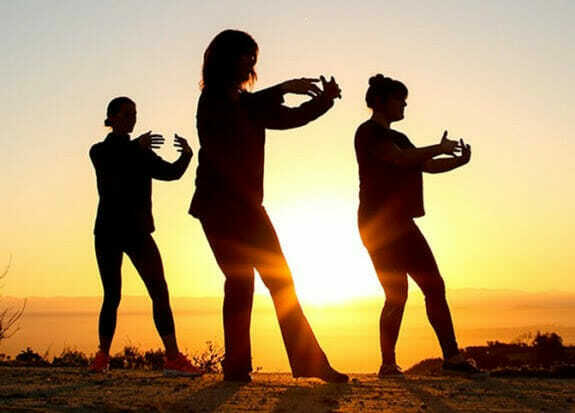 In a practice referred to as “Meditation in motion,” This class will provide a basic introduction to the value of Tai Chi for its 21st century practical applications. This reduces stress and improves health. Delivered with a focus on movement, mindfulness, and the power of breath, participants will develop the foundation for a set of skills that will empower them to cultivate well-being at home, at work, and at play for the rest of your life!